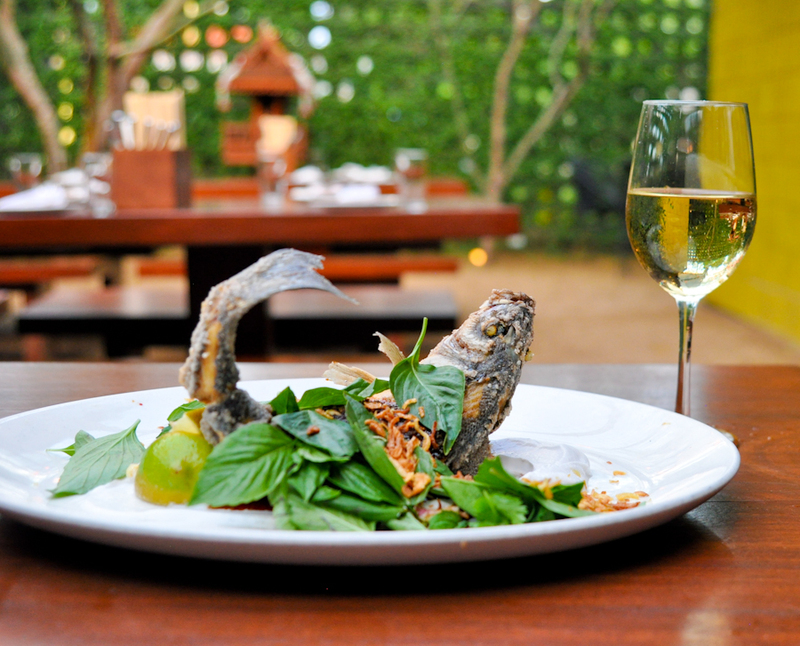 It’s time for an update on my Best Thai Restaurants City Guide! I can eat noodles almost every day and Thai noodles are my kryptonite. 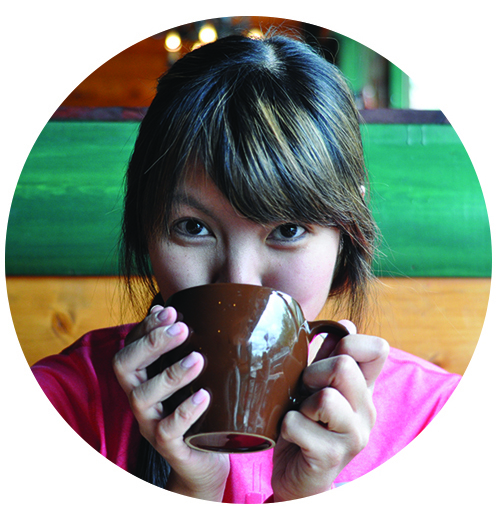 Researching this post and crowd-sourcing fellow Austinite’s favorite was quite a delicious endeavor. I love Dee Dee’s food truck! 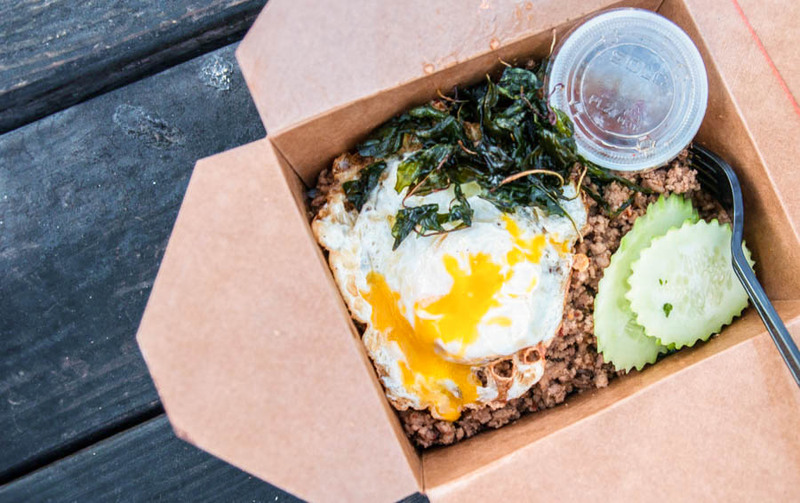 Nestled next to La Barbecue, this food truck serves spicy street fare from North Thailand and it’s amazing. I went twice within a couple of weeks and ordered the Pad Kaprow. Also try their pork skewers (Moo Ping) if available. Actually, I hear everything on their menu is worth trying and I believe it! When I asked on social media what people’s favorite Thai places were in Austin, I received a few votes for IM Thai. One of my previous coworkers sang IM Thai constant praises and swore up and down their crab rangoons are the best he’s ever had. Curious, I ordered some and wow, they’re so creamy! 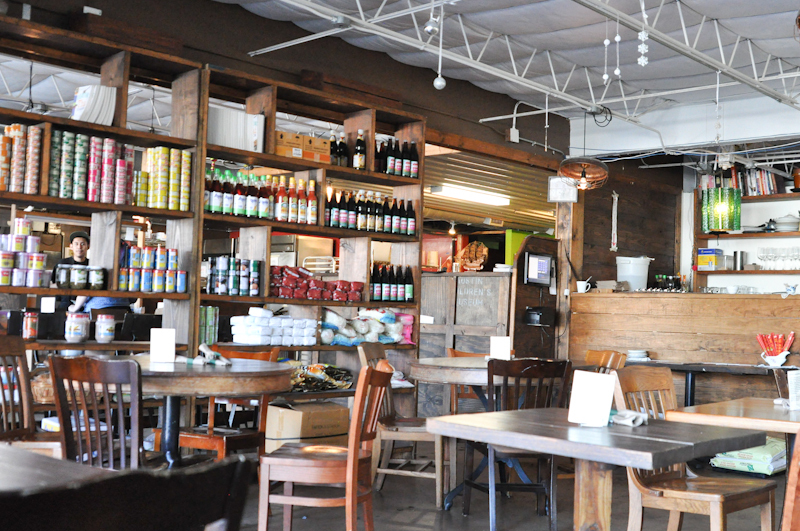 I’ve been going to Madam Mam’s since they first opened in 2001 and I first moved to Austin as a college student. 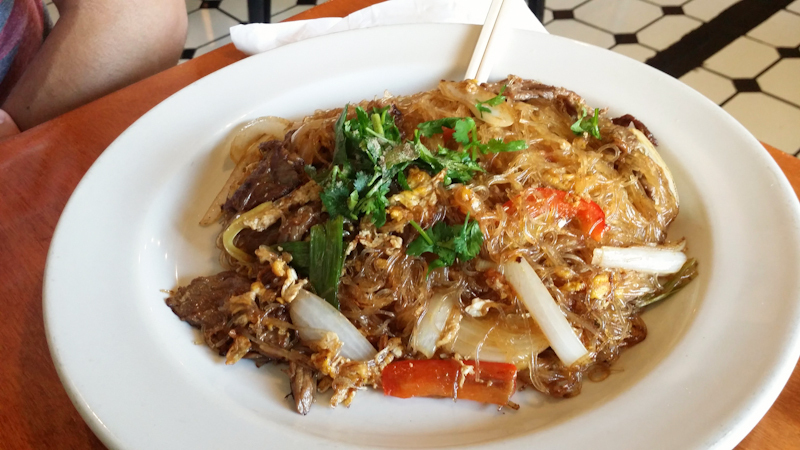 Pictured above is Sugarface’s regular order, the Pad Woon Sen. I always get their Pad Kee Mao with flat noodles but love their curries as well. I haven’t yet made the trek to Muangthai, but Foodie is the New Forty tells me they have the best Thai food in town. Formerly, Madam Mam’s. Though the owners split ways and Sap’s became its own separate entity, their menus remain similar. 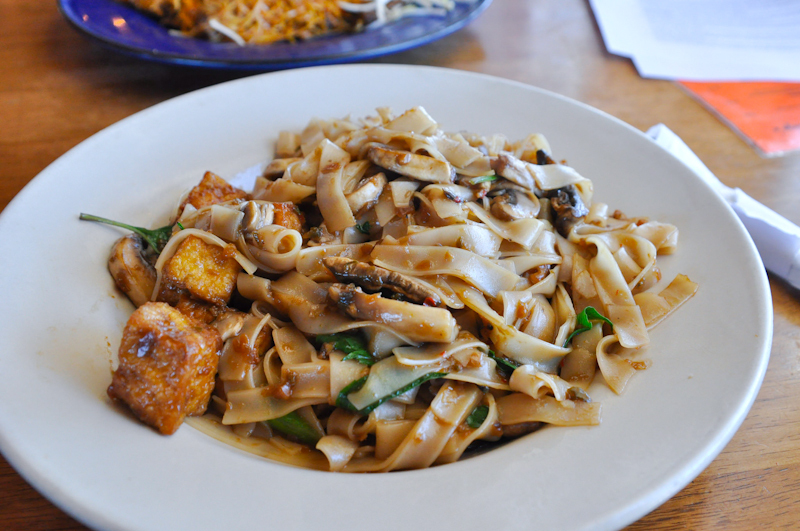 Photographed above is my favorite dish to order from them, the Pad Kee Mao with flat noodles. 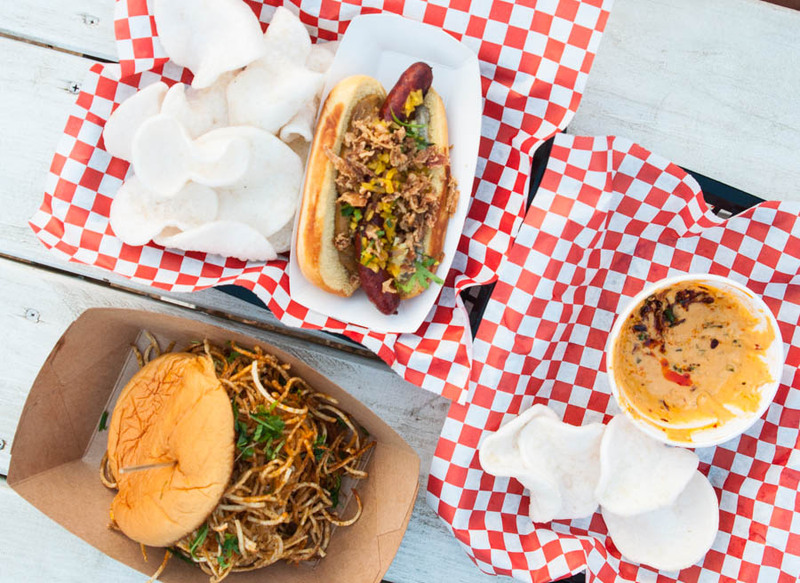 Soursop, a food truck located at St. Elmo Brewing Company, serves Asian fusion. I went last Sunday and their menu was limited because of their Sunday brunch menu. I plan to go back to try some of their Thai inspired items. I’ve heard great things about their Panang Eggplant and their Som Tam (papaya salad.) Their shrimp chips and queso made me very happy. Of course check out St. Elmo Brewing Company’s beers while you’re there. I like the Dampf! May I suggest the Son-In-Law (pictured above) and the Thai Tea Affogato? The Son-In-Law could be my favorite overall dish in Austin. I love Sway. Especially for date night. In fact, Sugarface and I celebrated our one year anniversary here after watching Die Hard. Then a year later we celebrated year two here after watching Die Harder. What can I say, we’re creatures of habit. A long beloved neighborhood establishment. They have an attached coffee shop and bakery and also sell a few Asian groceries. 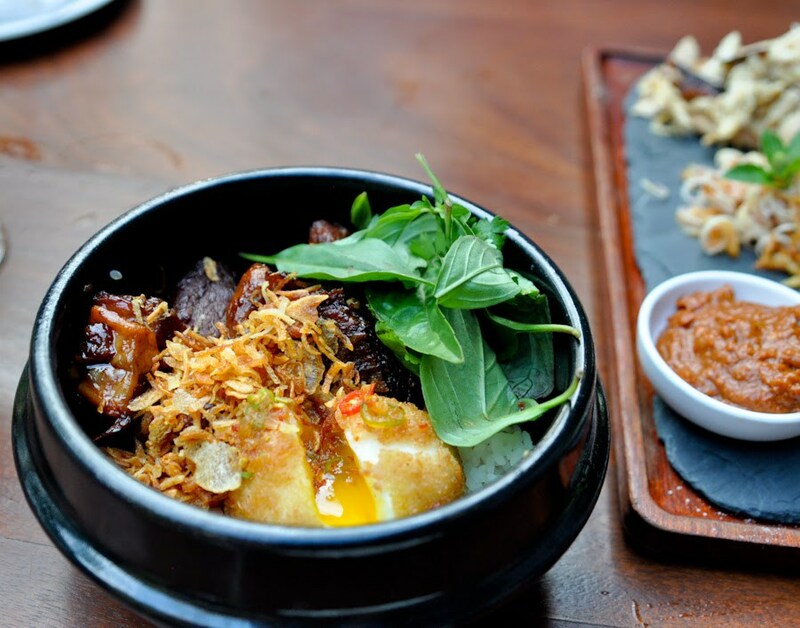 The header photo up top is of their Pad Kee Mao with pork belly and yellow curry. They are the first restaurant in Austin to provide a living wage to their servers, so you need not tip here. 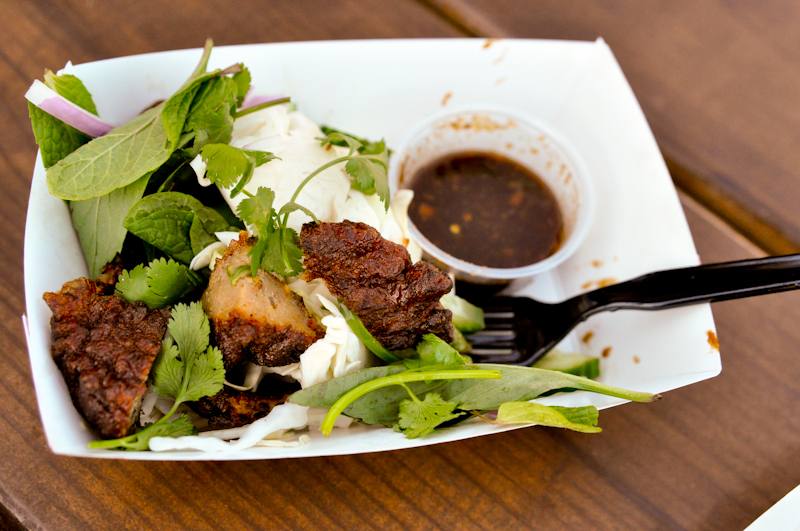 Thai Kun, a food trailer and part of the East Side King family, does not kid around when they say something is spicy. They also pack a lot of flavor into their dishes. 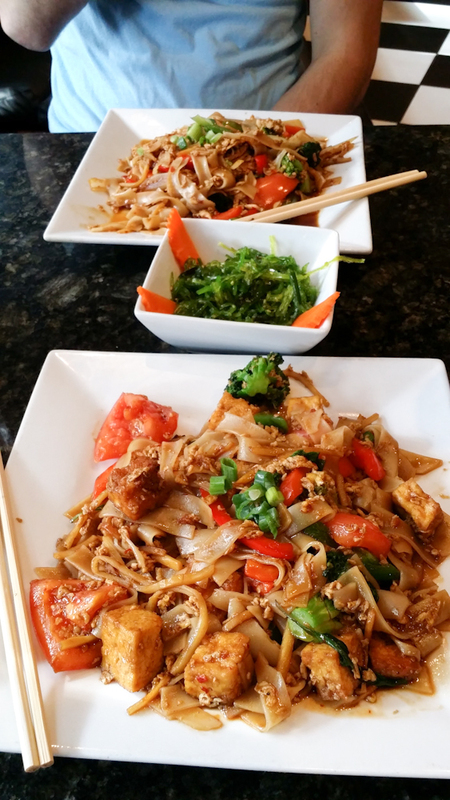 Thai Kun opened a brick last year in Rock Rose with an expanded menu. I like the chive cake and the clay pot! Thai, How Are You? is on campus. Their name is a nod to the beloved “Hi, How are you” mural that was painted on the side of their business way before they moved in. Thai, How Are You? makes Sugarface’s favorite Pad Kee Mao. It’s extra saucy and abundant with fresh vegetables. They have beer and happy hour and a young demographic. 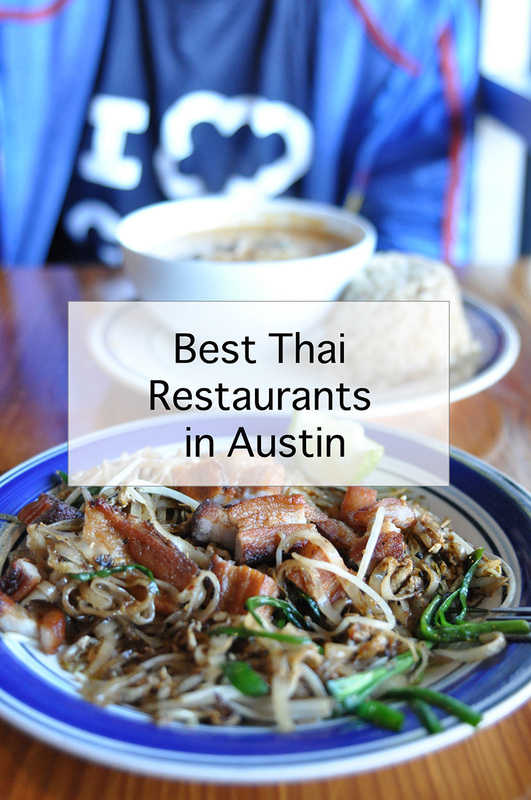 I hear from my friend South Austin Foodie that Thai Taste is a formidable competitor in Austin’s Thai scene. You can read her review here. She recommends the Pad Se Ew. Another town and personal favorite. Also great for date night. Browse Half Priced Books afterwards and buy each other stories! 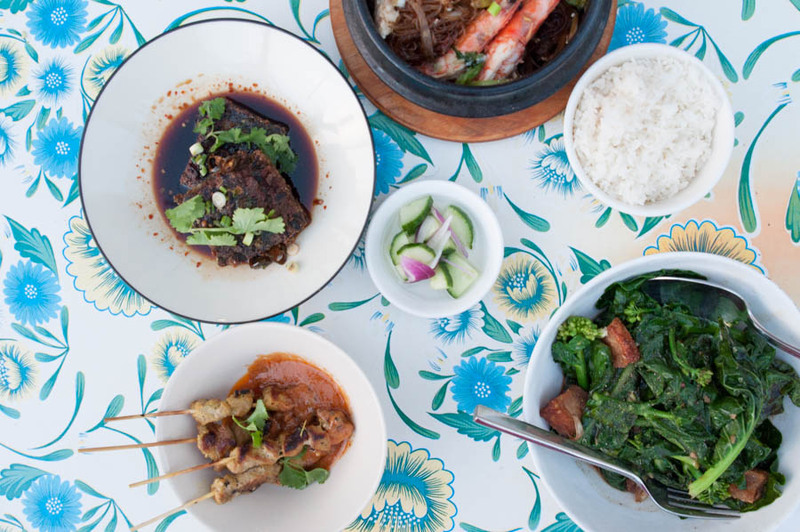 An unassuming restaurant, Tuk Tuk Thai Cafe has been serving South Austin for many years now. I went for the first time recently and their cheese pickle wontons are oddly addictive. So this concludes my list of best Thai restaurants in Austin. Did I leave off any of your favorites? Leave a comment and let me know!